If your grout has seen better days and is beginning to look, for lack of a better term “ugly” then it may be time to call Groutsmith grout and tile repair to come in and begin reworking and replacing your grout and tile. 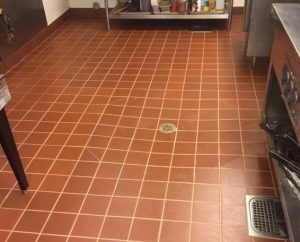 Once the grout has become cracked and worn to the floor there is no other solution that to replace the tiles and do new grout work and that can be expensive and time consuming. Before things get that bad, you can call the pros at Groutsmith San Diego and have their skilled technicians come in and begin to repair the grout and tile work, in only the worst areas. Groutsmith is experienced at removing and replacing damaged grout with fresh and new grout fillings as well as replace old tiling with new identical pieces. Once the job is done, the area that has been replaced will look coherent and fresh, while prolonging the need to redo the entire floor, kitchen, or shower. Is your tiling in need of a little TLC? Contact Groutsmith San Diego for a free quote!